Wow! What a week! 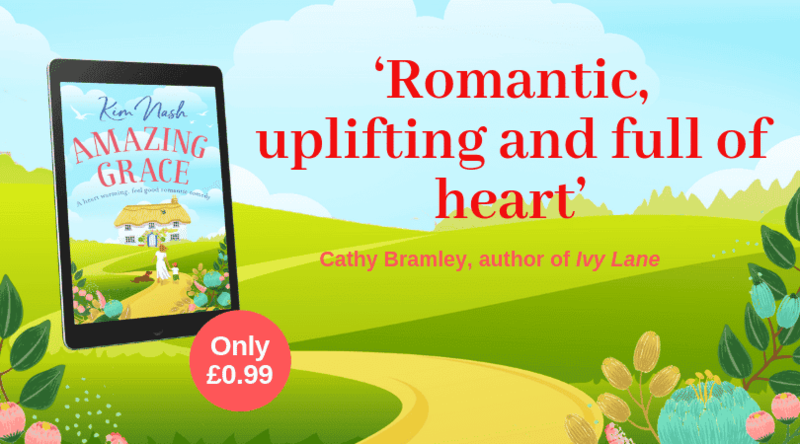 Amazing Grace is now published! Well, what a totally overwhelming week that was! If you haven’t heard about it by now (and I have gone on about it quite a bit I know!) 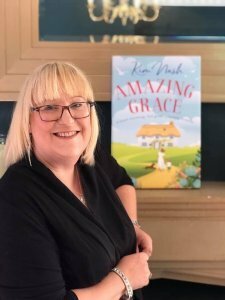 on Wednesday 10th April 2019, my debut novel Amazing Grace was published. What an exciting day that was! It’s a good job I got up and had a shower at 5am because I don’t know where I would have fitted it in otherwise. 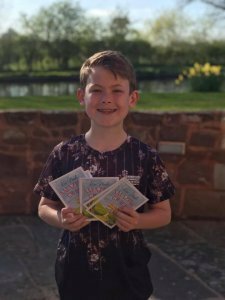 My first day as a published author kicked off book-wise at around 6.30 when the first reviews from my blog tour arranged by the fabulous Rachel Gilbey from Rachel’s Random Resources started to pour in and I started to get congratulations from the book community. And what a community they are. Messages came through thick and fast, and I struggled to keep up with all the notifications. Tears came a few times, I have to say. An incredible response, which I am truly grateful for. 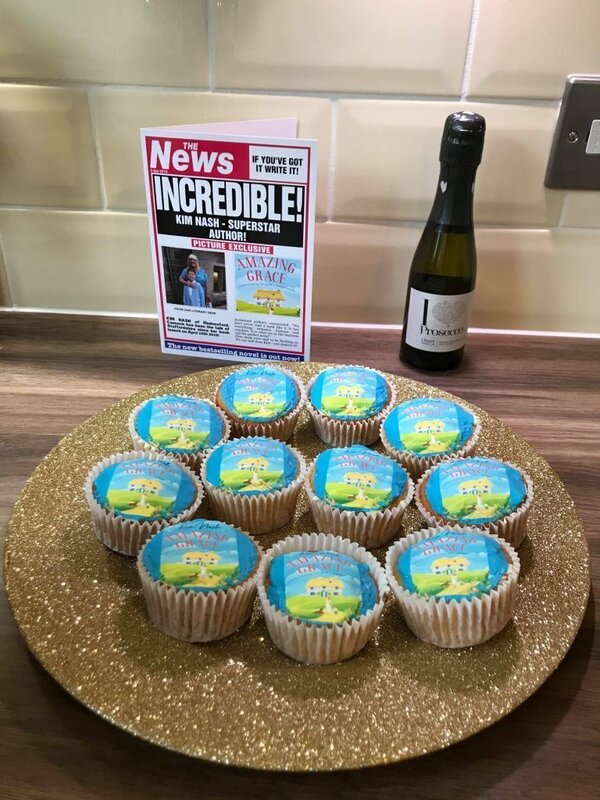 A knock at the door, surprised me, and there stood my friend Jo who had popped in on her way to work and was probably even a tad more excited than me, with Amazing Grace cup cakes which I completely welled up over. I spent hours just sitting on my computer thanking people and sharing posts and comments on Facebook and Twitter. By 9.30 #AmazingGrace was trending on Twitter which was totally incredible! At lunchtime I popped to ES Print, who had made me THE MOST brilliant canvas of the book cover, which I shall be putting up above my desk and then back to notifications before trying to fit in a little afternoon snooze which didn’t go so well because the door went twice with deliveries of flowers from my amazing publisher Hera Books and also my work buddies from Bookouture. My lovely sister picked me up and we headed over to The Moat House at Acton Trussell which is an absolutely stunning hotel in the heart of Staffordshire, which just happens to have a library and when the owner Dawn, one of my book club girls suggested this venue for my celebrations, it seemed the perfect place to hold it. 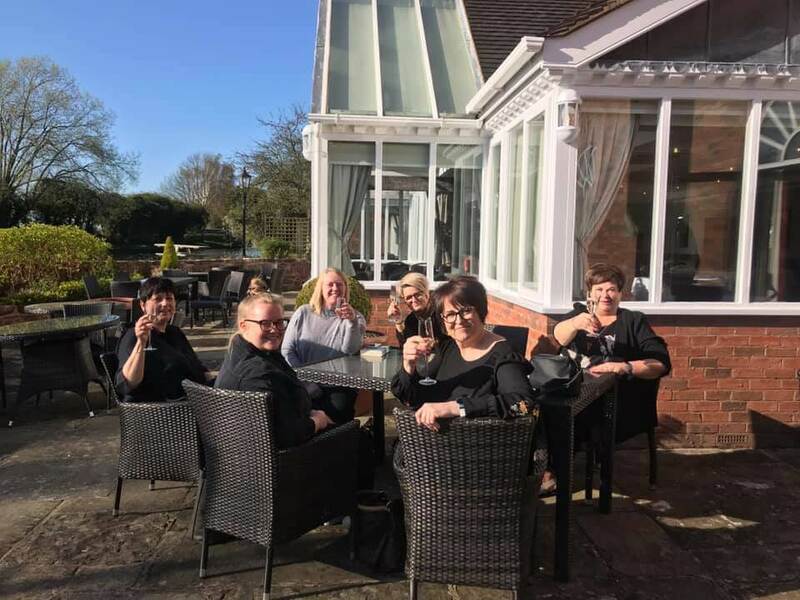 The sun shone and luckily for April, we were able to sit outside and enjoy the glorious weather while celebrating with prosecco and a buffet and it was wonderful to have my very close friends and family with me to mark the occasion of my debut novel being published. 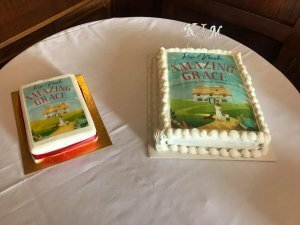 Two incredible Amazing Grace cakes were just some of the wonderful presents I received, I was very lucky to get presents galore. 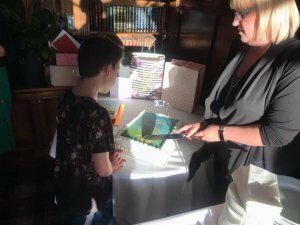 It was actually better than my 50th birthday celebrations I reckon and the evening couldn’t have been more perfect. Yes, I have now turned into a proper author, obsessively checking my rankings every five minutes and checking how many reviews have gone onto Amazon. Yes, I am constantly checking the notifications on Twitter and Facebook and hoping that I haven’t missed any (if I have, it wasn’t intentional I promise, I am just struggling to keep up!). But yes, I am now a published author and people are reading my book and messaging me about it. We’ve come away for a week to Wales, to try to get some relaxation in, and calm down a bit and to finish off book 2 which is out in September. 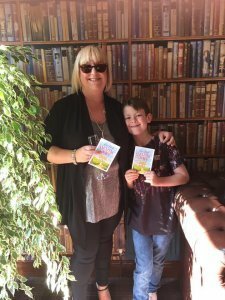 So that just leaves me to say a huge thank you to Rachel for organising my incredible blog tour. 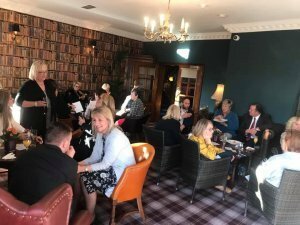 Another massive thank you to the bloggers who wanted to take part and who have posted their wonderful reviews and those who will be posting their reviews over the next few days. So many of you have said such wonderful things about the book, that really have brought me to tears. This is a book which is very close to my heart and it really does mean the world to me that so many people have said such incredible things about it. Gigantic thanks to the authors who made the time to read and give me such effusive quotes about Amazing Grace. Authors that I’ve followed for years, reading MY book! How cool is that!!! An enormous thank you to all the people who have bought Amazing Grace and left Amazon reviews. And a mammoth thank you to everyone who has made this week one of the most special weeks of my life. I am so blessed to have such amazing people in my life. Reviews really do help the success of a book, so if you have loved the book and could leave a review, doesn’t have to be long, just a sentence or two is absolutely fine, I would be eternally grateful. And THANK YOU for one of the most amazing weeks of my life.